On the slopes of our ski resorts and at the après-ski spots, in the large entertainment centres or in the waters of a spa. Andorra is full of spots where you can write a new chapter of your friendship. CAN YOU NOT WAIT TO GET YOUR SKIS ON? Challenge your friends to ski on over 300 kms of ski slopes at our resorts. 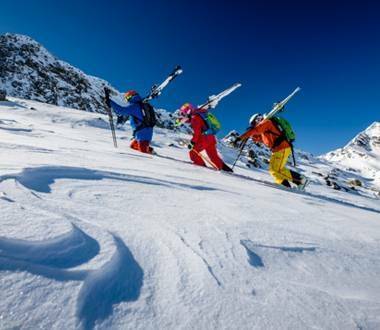 Descend the incredible slopes of this ski resort with your friends. You’ll remember it forever! Slopes of all kind for practising every type of skiing. Its a perfect resort for any group! Explore the heart of La Rabassa with your friends and enjoy a unique experience. It's great for everyone! Speedride, paintball, ATVs, snowshoes… We know that going on a break with friends can be a challenge. So here are some ideas so that you can plan your adventure in the snow. You can't go wrong! If you are looking for big thrills, find out what it feels like to fly. 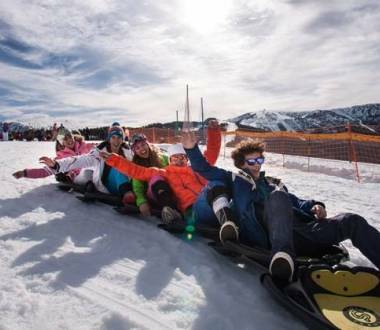 Why not go down the ski slopes on a snow snake, you'll have a great time with your friends. If being competitive is always a part of your activities, why not try a game of hockey? Don't let the cold hold you back! Embrace it! 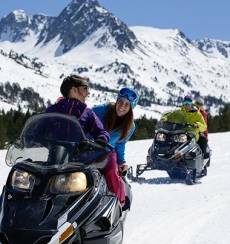 Travelling with friends to Andorra at this time of year you can enjoy a truly unique experience with a fun time guaranteed for all. Discover it here! 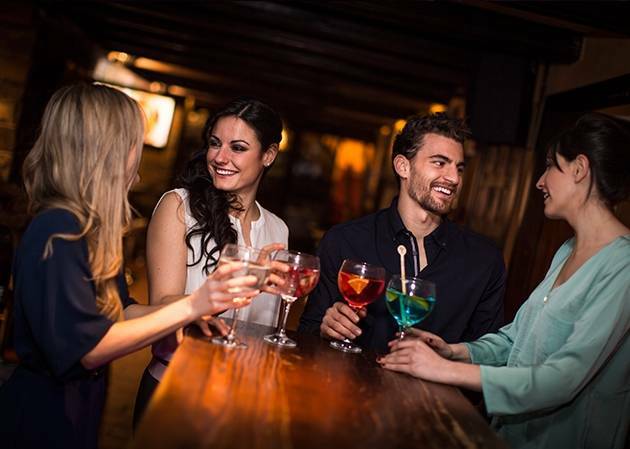 Whether you like active tourism or cities and night life, holidaying with friends in Andorra means success guaranteed. As far as active tourism and nature is concerned, this country nestled in the Pyrenees can't be beaten for fun in the snow. The ski resorts in the Principality (Grandvalira, Vallnord and Naturlandia) make up more than 100 kilometres of slopes used for alpine skiing and other styles such as Nordic or cross country and catering for all levels. And if you like to get off the beaten track, you can enjoy off-piste freeriding on your trip with friends to Andorra. You will find stretches with jumps, natural obstacles, adrenalin rush slopes and snow, so much fresh snow that you can traverse at your leisure. And best of all, despite that feeling of freedom in nature with nobody to bother you, these freeriding zones are safe and monitored. 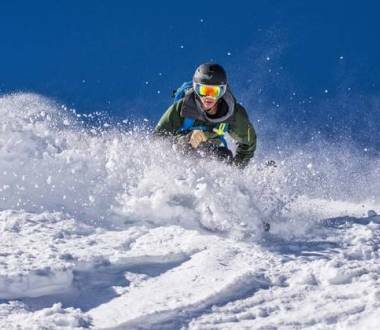 Both Grandvalira and Vallnord have areas dedicated to this style: In addition to El Tarter, Grau Roig and Ordino-Arcalís you will also find tens of easy access freeriding routes in Andorra's ski resorts. The polar opposite is the Snowsnake: less extreme but perhaps even more fun when holidaying with friends in Andorra. This one-of-a-kind human snake can be seen slithering along the slopes of Andorra's ski resorts! 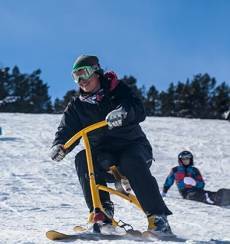 These linked sleds carrying big groups of people bring your down the snow slopes in a way you could never have imagined. Hilarious! But alongside skiing and other versions of this winter sport that have earned Andorra international fame, our snowscapes are also attractive to those looking for nature-based activities. For example, our amphibian Gicafer vehicles are a suitable choice for those who like to live on the edge. Professional instructors will be happy to accompany and guide you through the heart of the Pyrenees at any time of day or night. 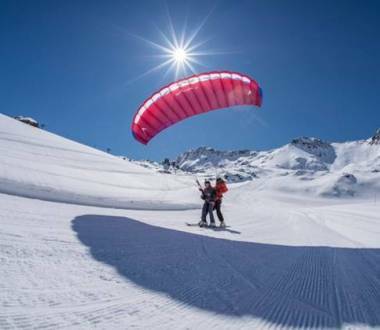 And if you prefer a bird's eye view of the Pyrenees mountains and landscapes, why not book a paragliding trip from one of our ski resorts such as Pal-Coll in Vallnord or El Tarter de Grandvalira? You can embark on this fascinating adventure in the knowledge that you are totally safe in the hands of by professional instructors who will guide you - particularly if this is your first gliding experience. But when travelling with friends to Andorra you will not need sports equipment. If you like urban entertainment, the Principality's towns have something for every taste. When night falls, the pubs, live music venues and discos turn on their lights and open their doors to welcome in the young people who want to party on to the wee hours. 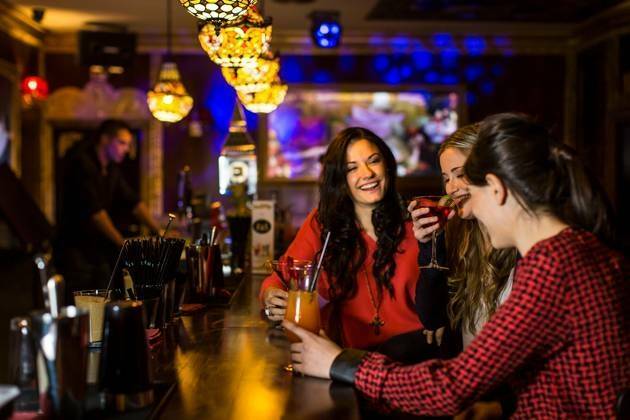 These places are perfect for a drink and for getting to know new people at the bar, at a group table or on the dance floor. 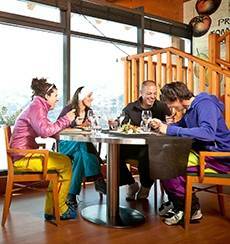 But not before enjoying a delicious meal in good company in any of Andorra's numerous restaurants . Their beautiful surroundings and ample menus make for a perfect start to a big night out or simply the best way to recharge the batteries after a long day's shopping. In fact, this is another of the most attractive offerings for group trips to Andorra, for both men and women. Vivand in Escaldes-Engordany or the old town of Andorra la Vella are some of the best spots to go bargain hunting or to find that well-earned treat. Sunglasses, perfumes, bags, electronic gadgets, watches. Andorra's shops are known for their attractive prices, and with your friends to help, you are sure to make the most of them. But your plans to enjoy Andorra with friends don't have to stop there. You can be sure to find something here to impress even those that think they've seen it all. For example, escapism games. Companies like Claustrophobia or Andorra Quest organise intriguing real-time games so you can experience first-hand what you thought only happens on the movie screen. 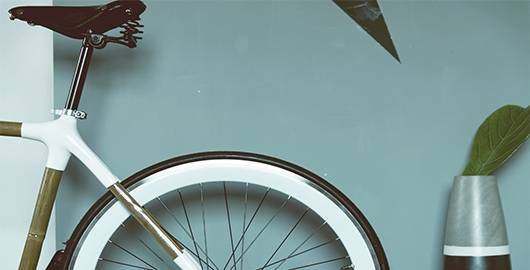 Mysteries to solve, unknown adventures in closed spaces, group challenges … Travelling with friends to Andorra will put your special affinity to the test and show how good you are at working and playing on a team. Ice hockey is another year-round option to consider. Palau de Gel (Ice Palace) in Canillo opens all year round for ice skating enthusiasts. If this tickles your fancy, why not hire the central rink by the hour for a game of hockey? Or try out other sports that also require some good skates and a desire to have a good time? Choose from broomball or curling. At the weekend, the venue becomes a unique dance rink, a perfect night out for those staying in the Canillo area. 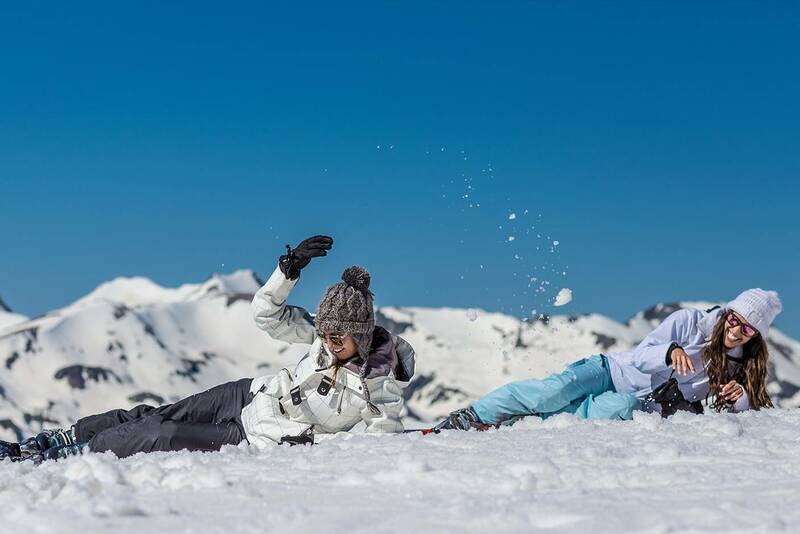 Enjoy an unforgettable stay with friends in Andorra during the winter and find out how just much fun this season of the year can be in this little country.